Four Seasons Guest House is just one mile from the spectacular Pembrey Country Park, the tranquillity of Burry Port Harbour and the excitement of Pembrey Motor Sport Circuit. For accommodation in Carmarthenshire the Four Seasons Guest House is ideally located for a wonderful Welsh holiday. 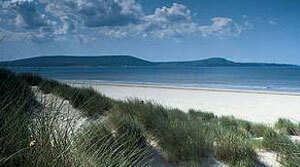 Four Seasons Guest House is a small family run bed and breakfast in Pembrey, Carmarthenshire. We enjoy catering for families, couples, individuals and business travellers. We take great pleasure in welcoming new and returning guests whether they are here for the motor racing at Pembrey Motorsport Center, parakarting on Cefn Sidan beach, husky racing in Pembrey Country Park or visiting the beautiful area of Carmarthenshire.The Four Seasons is an excellent base for touring the Gower Peninsula, Burry Port Harbour, Cefn Sidan beach, Pembrokeshire, Tenby, The National Botanic Garden of Wales and the gardens at Aberglasney all of which are just a short drive away. We have 3 ground floor en-suite bedrooms available along with 3 first floor bedrooms. We offer a choice of a full home-cooked Welsh breakfast, continental breakfast or vegetarian option. Four Seasons Guest House has ample off road parking facilities with security lights and drive through access. Four Seasons Guest House is also ideally situated for the Millennium Coastal Park and NCP route 4 cycle track which is accessible from the property as well as Pembrey Country Park. The award winning Ashburnham Golf Course can be seen from the upstairs bedrooms and is only 2 minutes away by car and the Machynys golf course 5 miles away . Horse riding and fishing trips can also be arranged locally. . Ffos Las Racecourse is only 5 miles away. 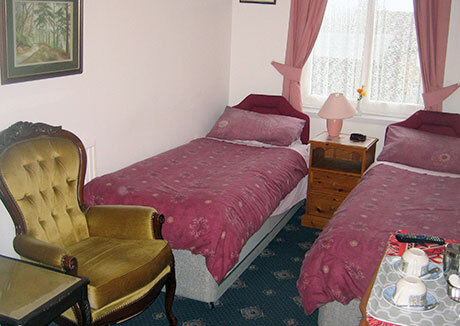 Two identical ground floor twin bedded rooms with en-suite shower rooms. 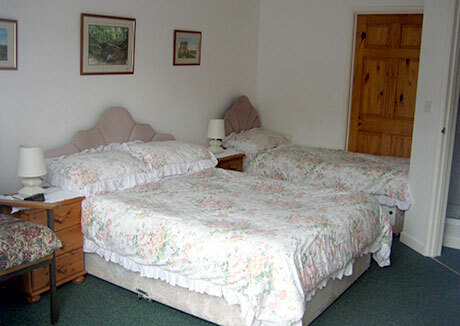 The rooms are linked with an adjoining door which can be unlocked if required to suit a family of four. Free guest WiFi is available in most areas. All rooms have tea/coffee making facilities, TV and hair dryers. An iron is available upon request. Delightful ground floor double/family room with en-suite shower room. 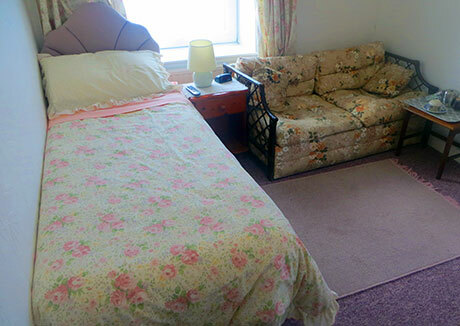 Bright and airy first floor rooms with hand wash basin and shared shower and toilet. We have ample off road parking facilities with security lighting and drive with excellent access to accommodate trailers, large race vans etc. Please note: We do not take credit cards, but we do welcome bookings by telephone. Cheques are accepted. Please make payable to: Mrs. M. Ricketts. 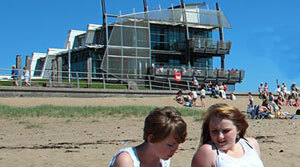 There really is lots to see and do in the area around Four Seasons Guest House, Burry Port. 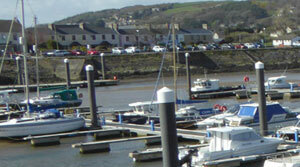 The magnificent Burry Port Harbour is only a mile away. With its wonderful lighthouse and seaside location Burry Port Harbour is a great place to take a stroll, ride a bike and get some fresh sea air. 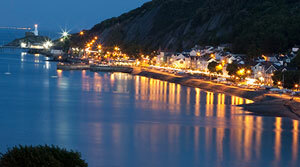 You can join the local network of cycle paths from the Four Seasons Guest House and meander along the South Wales coast. To the west is Kidwelly and Llanelli to the east. 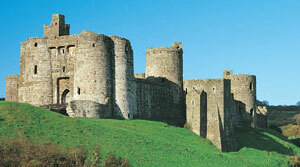 Here is a small selection of the many attractions in South West Wales. 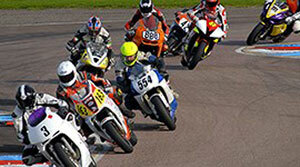 Pembrey motorsport circuit provides racing for cars, motorcycles, karts & trucks. Pembrey also hosts rallies and sprints. The circuit is an ideal base for corporate and motorsport team activities, and offers a dedicated series of motorsport performance driving schools. 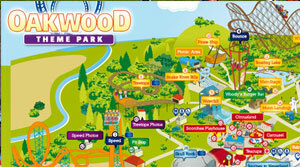 Oakwood is Wales’ premier visitor attraction and attracts hundreds of thousands of visitors each year. In 1996 Oakwood was really put on the map after installing it’s world-renowned wooden roller-coaster ‘Megafobia’, for which the park has won numerous awards. Other major rides include Speed, Hydro, The Bounce and Vertigo. On June 17, 1928 Amelia Earhart flew from Newfoundland with co-pilots Wilmer "Bill" Stultz and Louis "Slim" Gordon in a Fokker F7 and on June 18 landed safely in Burry Port, becoming the first woman to fly across the Atlantic. The event is commemorated by engraved flagstones and a plaque in the harbour. This Wild Welsh Zoo has something for everyone - from the network of intimate, tree-shaded walkways and wide open spaces for picnics and barbeques, it's a place for all the family to enjoy. Winners of the Best Day Out in Wales 2015. 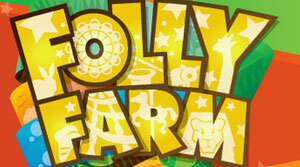 Amazing adventures, penguin parties, toddler takeovers, cwtch corners, and zoo keeper experiences are all ways to describe Folly Farm. If you want a truly medieval moment, catch a glimpse of Kidwelly shrouded in early morning mist. Spine-tingling stuff. So complete and well-preserved it’s a match for any of the great castles of Wales. 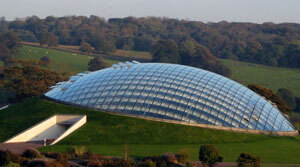 The National Botanic Garden of Wales exists to develop a viable world-class national botanic garden dedicated to the research and conservation of biodiversity and its sustainable utilisation, to lifelong learning and to the enjoyment of the visitor. 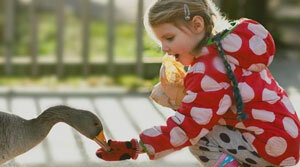 Hand feed the rarest goose in the world, see our colourful flamingos, go bug hunting or pond dipping, enjoy bird watching from our hides and explore the reserve to see butterflies, dragonflies and more! Whether it's a boat trip with Gower Coast Adventures or a walk along the coast or even a stroll along the promenade and snack in the Pier cafe. With over 100 shops and restaurants to choose from there's plenty to see and do. Set against the spectacular backdrop of the Gower Peninsula and overlooking the coastal scenery of Carmarthen Bay, Pembrey Country Park has been transformed into one of Wales’s top visitor attractions providing a unique blend of coast and countryside. 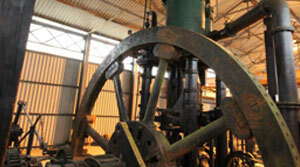 The Kidwelly Industrial Museum is set in the 13 acres of the original tinplate works of Kidwelly. The Museum is unique in that it is the second oldest tinplate works in Wales and the only surviving tinplate works, in Britain, with the majority of its machinery and buildings in situ. Everyone who comes to the award-winning park leaves with a lasting memory of its scale and beauty. In just over 15 years, the 22 kilometres of coastline along the Loughor estuary has been transformed into a unique array of tourist attractions, wildlife habitats and leisure facilities.